Don’t let a little snow scare you. We know. It’s cold outside. Very cold. Your driveway needs shoveling, the doors of your car are sealed shut, and you haven’t been able to feel the tips of your fingers since November. But winter in Lake County isn’t just some inconvenience between fall and spring. It’s an opportunity—a chance to see something new or something familiar in a different light. So here are five ways to make the most of this time of year. Go for a hike. Lake County is replete with gorgeous parks. And while they may be a little chillier in January, they are no less beautiful. Are you trying to exercise more this New Year? Knock out two birds with one stone and go hiking. 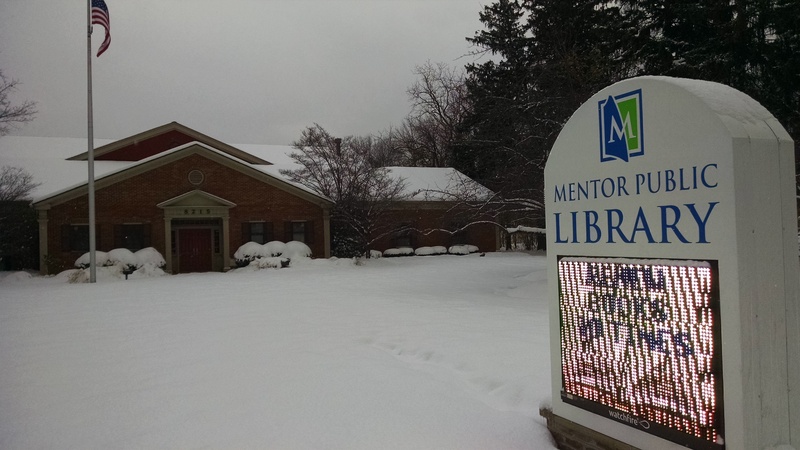 In fact, you can get a free pedometer or water bottle for your hike if you show your Mentor Library card at the Mentor Parks & Recreation Office this month. Expand your taste palate. Whether its comfort food at Melt, fine dining at Skye, something crafty at Little Mountain Brewery or dessert at the Confectionary Cupboard, Lake County has hundreds of restaurants, eateries, wineries and more to tantalize you. We’re getting into the act too. Starting February, we’re launching our Tasty Tuesdays program. Each month, we’ll show you the variety of flavors you can get from a single food. It’s like a book club for your mouth. And we’re starting with chocolate! Update your music collection. You know all of those Best of 2014 music lists that are filled with artists and albums you’ve never heard of? Use them as a roadmap to explore something new. Listen to an artist from a genre that you usually ignore or check out that album from that band you used to love. But music’s expensive, you say. Not if you stream it for free from Hoopla or Freegal, which you can do if you have a Mentor Library card. You can even check out a CD or two, if you’re feeling old-fashioned. Check some books off of your To-Read list. I even know a place that can help with that. This entry was posted in Uncategorized and tagged Core Card, Freegal, Hoopla, Mentor Parks, Mentor Public Library, Tasty Tuesday, Transparent Language, winter. Bookmark the permalink.